Billed as one of the world’s most spectacular road trips, the Great Ocean Road runs from Torquay to Allansford along the southern coast of Australia in the state of Victoria. Despite its name and impressive coastal views, much of the drive is inland through temperate rainforest, offering wildlife spotting opportunities. Unlike many of the long stretches of Australian roads, the Great Ocean Road self-drive should be savoured, drank slowly like a fine wine. 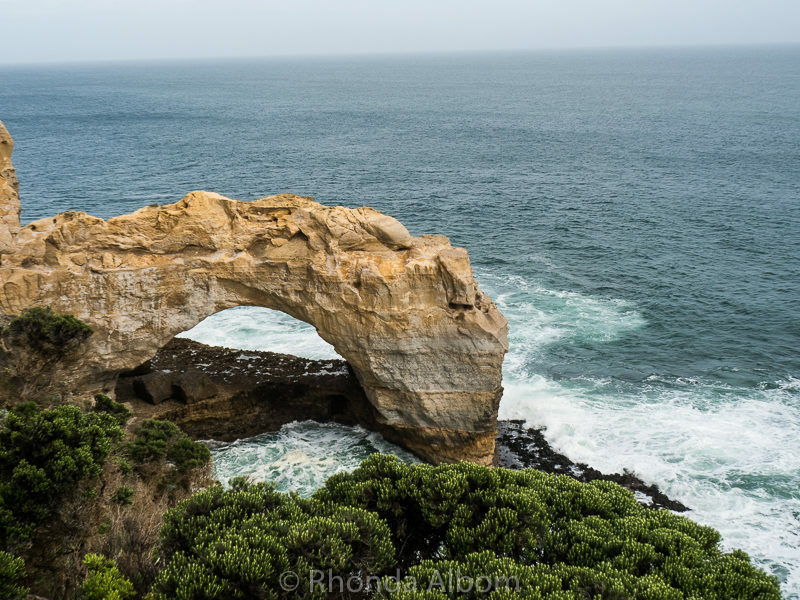 We took two days, stopping to see each of the Great Ocean Road highlights below. If you don’t have a car, don’t worry, Veltra City Discovery can take you from Melbourne. 4 Where is the Great Ocean Road in Australia? 6.1 Want it all, but don’t have a car? 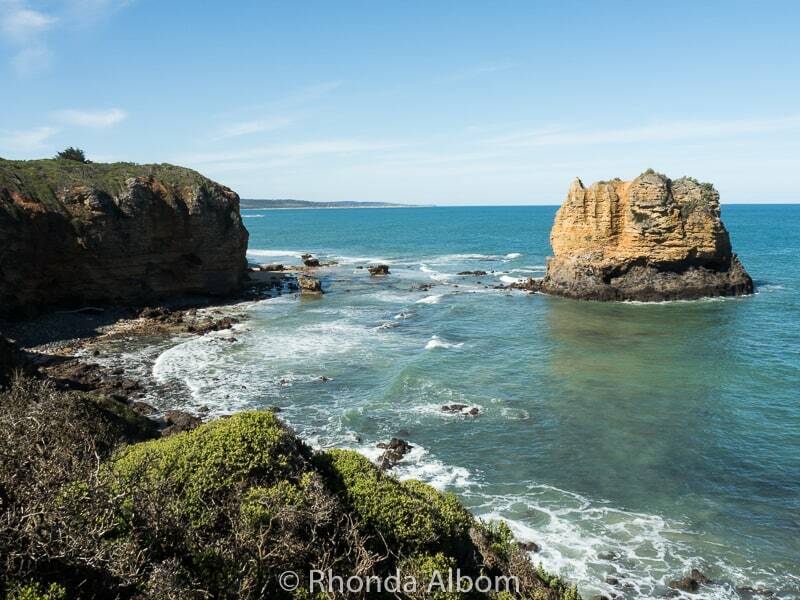 7 What’s your favourite spot along the Great Ocean Road? Easter weekend brings the world’s best surfers to Bells Beach for the annual Rip Curl Pro. 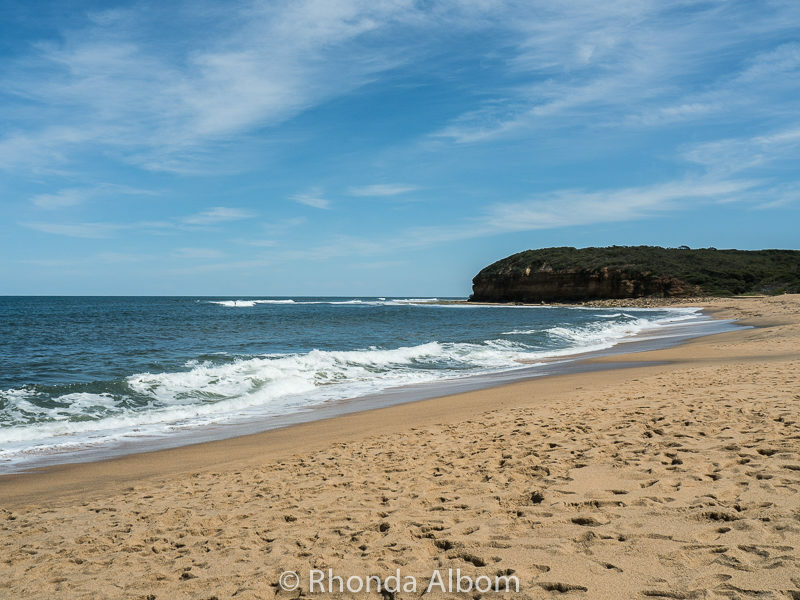 However, on the calm day that we visited it was difficult to imagine that this is one of Australia’s most famous surf beaches. The annual surf event has been held here since 1961, converting to a professional competition in 1973. Bells Beach was the first stop on our Great Ocean Road self-drive adventure. From the carpark, we had two options: Bells or Winkipop Beach (another of the popular Great Ocean Road beaches). 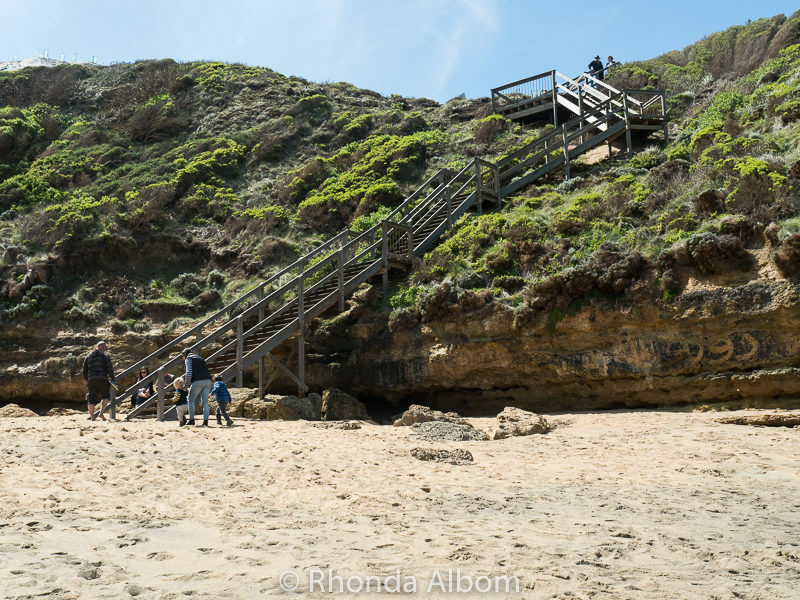 The short boardwalk at Point Addis leads to expansive views of the Point Addis Marine Reserve. 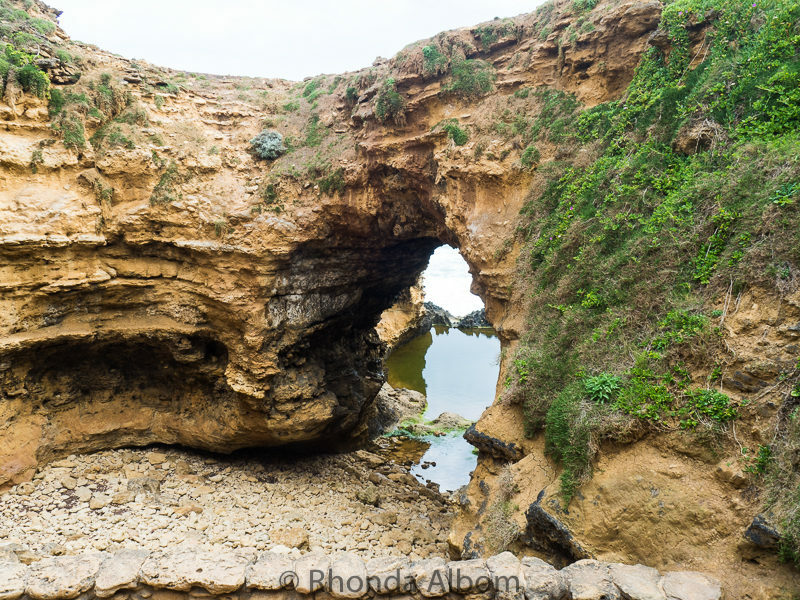 This protected reserve covers 4,600 hectares of ocean and extends from Bells Beach to the town of Anglesea. 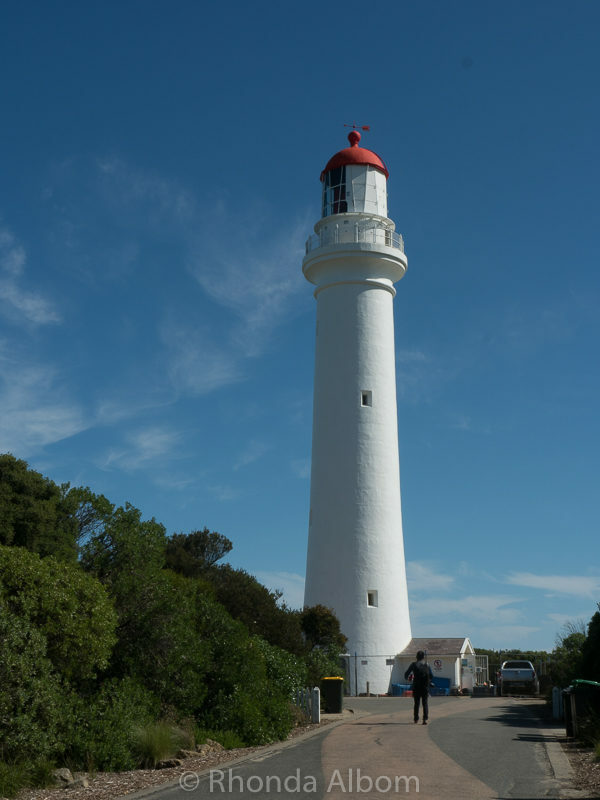 There is something romantic and quaint about a lighthouse, and the one at Split Point was no exception. It was built in 1891 in an area originally called Eagles Nest Point. Possibly the most important, yet probably the most obscure fact about the Great Ocean Road is that it is the world’s largest war memorial. It was built between 1919 and 1932 by returned soldiers to honour their fallen comrades. The Memorial Arch at Eastern View is a tribute to the soldiers who constructed the road. 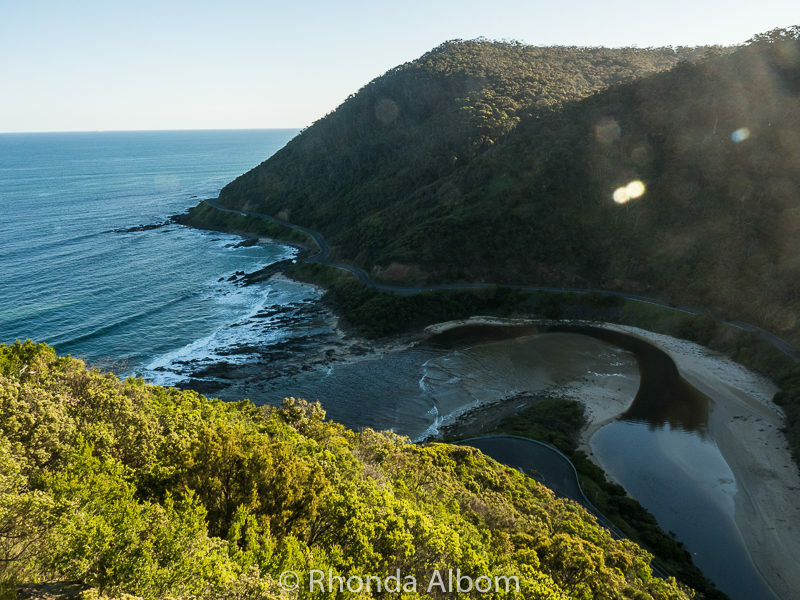 There are two must-see stops in Lorne, Erskine Falls and Teddy’s Lookout. Lorne, an artist community, is a popular place to stop for the night. While Erskine Falls can be seen from the lookout point, walking the 200+ steps to reach the bottom is well worth the effort. The power of the water cascading 30 metres over one of the Otway’s highest points can’t really be appreciated from the top. I used a tripod to create the flowing water effect in the image below. St. George River outlet viewed from Teddy’s Lookout in Lorne. 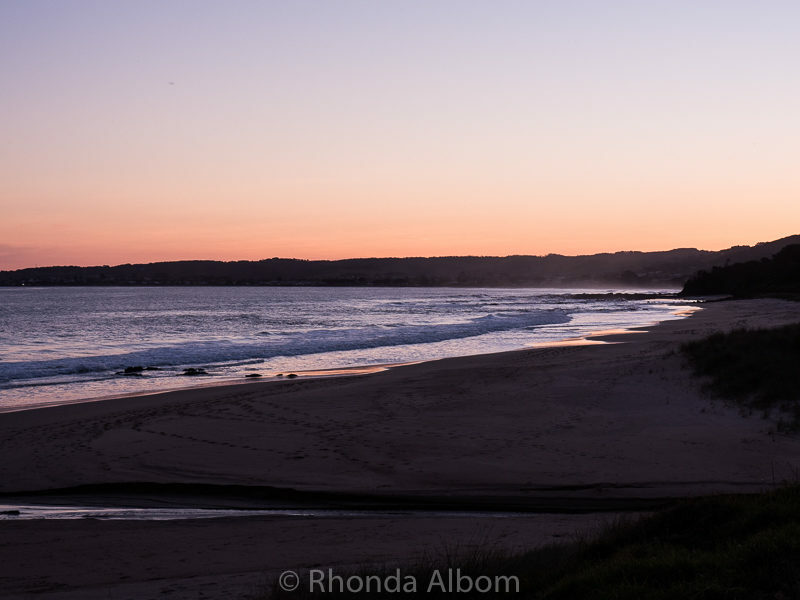 We enjoyed the sunset as we drove, finally stopping to capture this shot between Lorne and Apollo Bay. We opted to stay in Apollo Bay. If you are travelling in winter, you can fairly easily take the gamble that you will find accommodation wherever you find yourself at sunset. However, in peak season you will probably fail if you try this. There are several great options ranging from resorts to hostels. We highly recommend booking ahead if you are travelling the great ocean road in spring, summer, autumn, or during Australia school holidays. If my photos from the first day of our Great Ocean Road self-drive adventure didn’t inspire you to hop on a flight to Australia, perhaps the next portion of our journey will. Day two took us from Apollo Bay to Point Fairy, just beyond Allansford, the end of the Great Ocean Road. 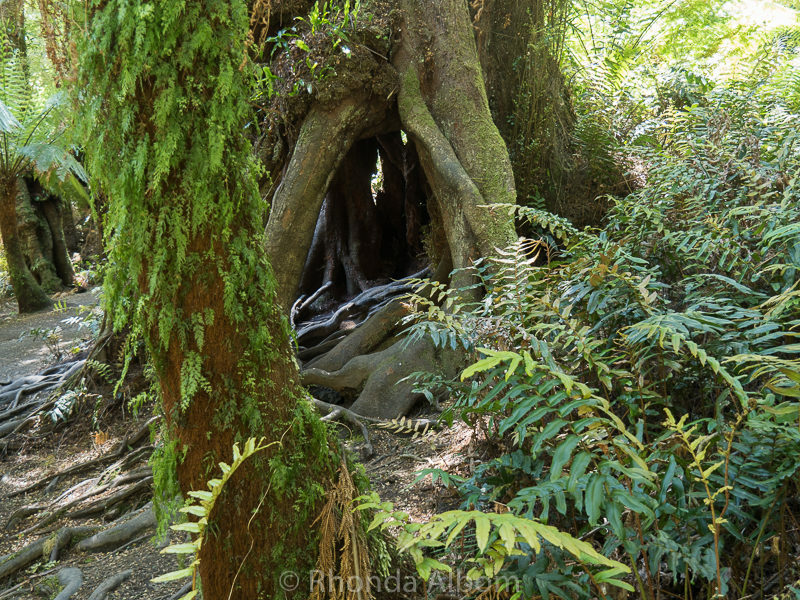 Maits Rest in Great Otway National Park is named for the area’s first forester, Maitland Bryant, who rested his horses here between his patrols. Wild koalas live in the eucalyptus forest lining the sideroad from the Great Ocean Road to the Otway Lightstation. As Jeff drove, I kept my eyes peeled on the trees. They are not easy to spot, but so exciting to see when we were successful. In total, we were able to spot five wild koalas on this portion of the drive, all from a distance. TIP: Bring binoculars. It makes the search for the koalas much easier. Twelve Apostles in Port Campbell National Park are a quite impressive collection of limestone stacks rising from the sea. They are the most famous site on the journey, however, they were not our favourite. Once called the “Sow and Piglets,” some say the name was changed to increase tourism. I guess it works. This was by far the most crowded destination we came to along the Great Ocean Road. The Loch Ard Gorge was named after the clipper ship Loch Ard that ran aground at a nearby island in 1878. It was impossible to capture the true magnitude of the Razorback. According to the signage, the sharp edges and bumps along the back are caused by wind-blown spray. 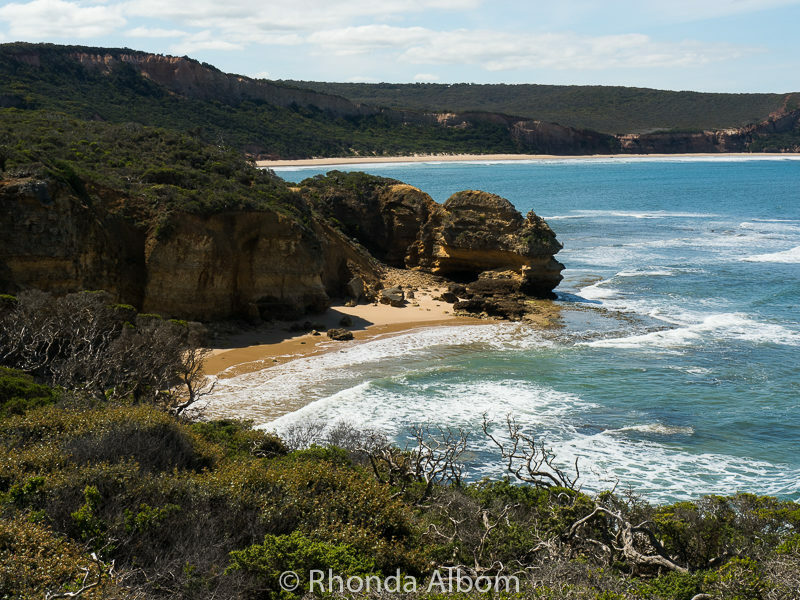 It was one of my favourite stops on our Great Ocean Road self-drive. The Arch is another site worth hiking down to see. 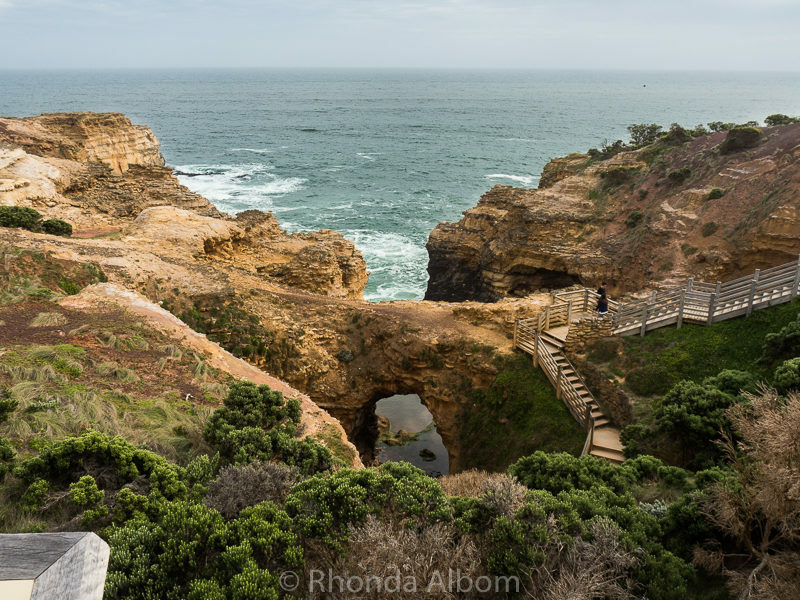 The viewing platform is a 350-metre walk from the carpark, but the real magic of the Grotto is seen from down at sea level. There is a labyrinth of stairs and walk paths to bring you there. The Grotto is a sinkhole (although completely different from the sinkhole we saw in Oman). Once at the bottom, it was my favourite of the rock formations we saw on the day. The Grotto from sea level. We went beyond Allansford, the westbound end of the Great Ocean Road to the charming fishing village of Point Fairy. From there we turned inland to the Grampian Mountains. Then we completed the loop heading back to Melbourne. 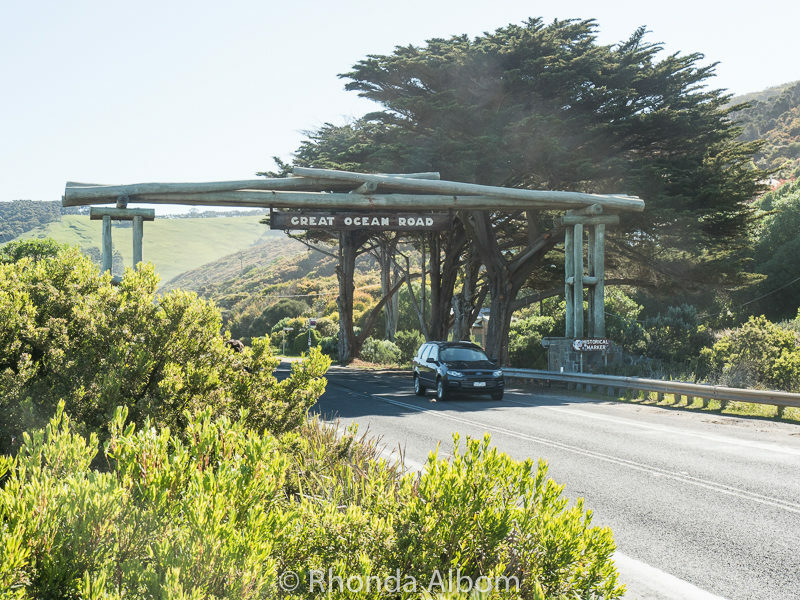 Where is the Great Ocean Road in Australia? If you are into hiking and outdoor adventure, perhaps you should try the 7-day, 104 kilometres Great Ocean Walk. Walking 10 to 15 km per day and sleeping in hike-in campsites, you will travel from Apollo Bay to the Glenample Homestead (near the 12 Apostles, Victoria). 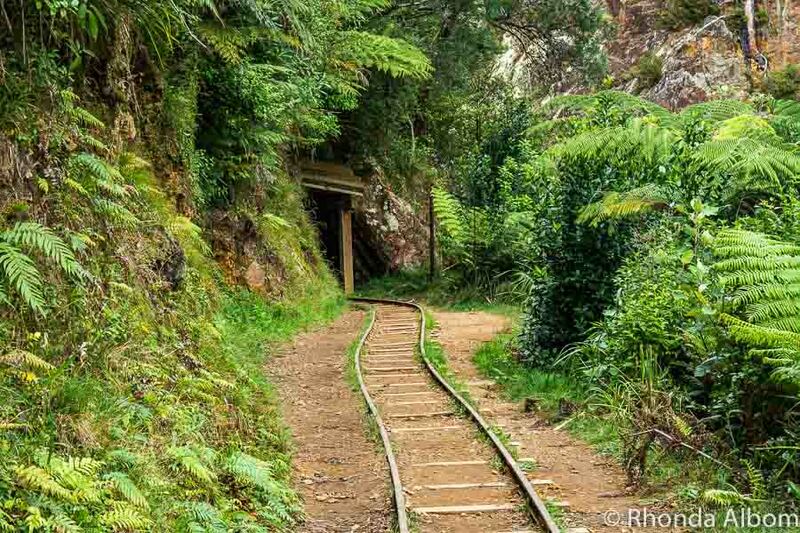 The walk meanders through the Otway National Park along high cliff tops and sandy beaches. Do it yourself, or go with a guide. 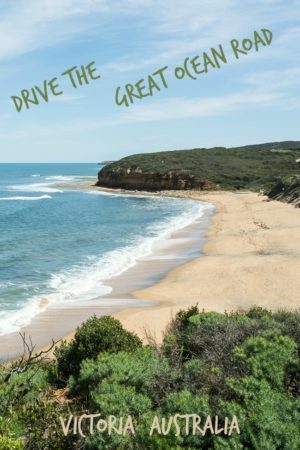 For an even bigger, yet more luxurious adventure, check out this guided Great Ocean Road Walk including eco-luxe lodging and meals. You’ll walk from Apollo Bay to Cape Otway Lightstation in only four days and be rewarded with a helicopter ride over the 12 Apostles, Australia at the end of the tour. As a straight drive, one could travel from Torquay to Allansford in about two hours, but you will miss some of the best scenery in Australia. Our advice, don’t try to do a Great Ocean Road day trip. Instead, stay at least one night. There is a full range of options in the area. Stop often and be prepared to walk. We easily walked 10-15K steps each day. Bring insect repellent. Lots of it. Bring a light jacket, the weather is very changeable. Want it all, but don’t have a car? If you have two days, this tour from Veltra City Discovery is for you. What’s your favourite spot along the Great Ocean Road? Your road trip will be really fun if this is the places and activities you will experience along the way. What magnificent views! I’ve seen photos of the 12 Apostles, but I had no idea that the road was so beautiful and had such a fascinating origin. I hope to make it there sometime. My favorite photo is the one of Erskine Falls — I love that slow shutter speed effect. What a memorable drive with stunning coastline views! The memorial arch history was especially fascinating to me. This would be a bucket list item for me. 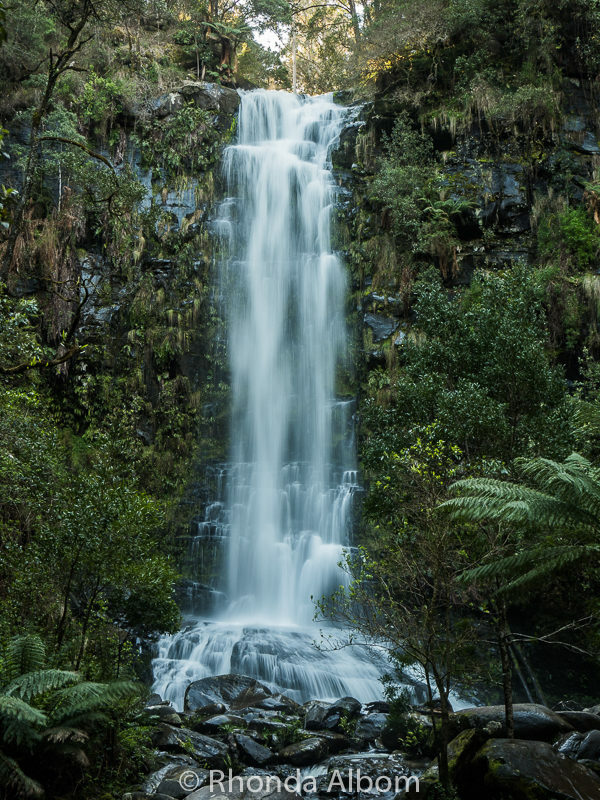 Stunning photos of stunning scenery – how about that Erskine Falls? wow. And the koala, too. Looks like it was a fantastic trip and doing it in 2 days would be preferred. Wow what an extensive guide! This will certainly come in handy as I’d love to see just about everything! Pinned! This one road trip I really want to do, the scenes look incredible. It’s interesting that you said a lot of the drive is inland through rainforests, I didn’t realise that. I can’t believe you got to see five wild koalas as well, now I am jealous. Australia’s landscape looks like a combination of Coastal California and Hawaii. If I were to look at any of those pictures and guess, I would say one or the other of these two states. At any rate, the Great Ocean Road looks absolutely spectacular and I can only hope to be able to do it someday. It’s my dream to do an Australian road trip one day! I love a good ol’ pack your bag and hit the road trip-especially along a coast as gorgeous as this! Looks like a blast! Lovely views Rhonda. Those stairs down to the beach doesn’t look to sturdy but I bet it’s great. See ya my friend. You’ve given me so many reasons to want to do this drive – those stunning beaches, rainforests and the chance of seeing a real live koala! That sounds like my kind of road trip! 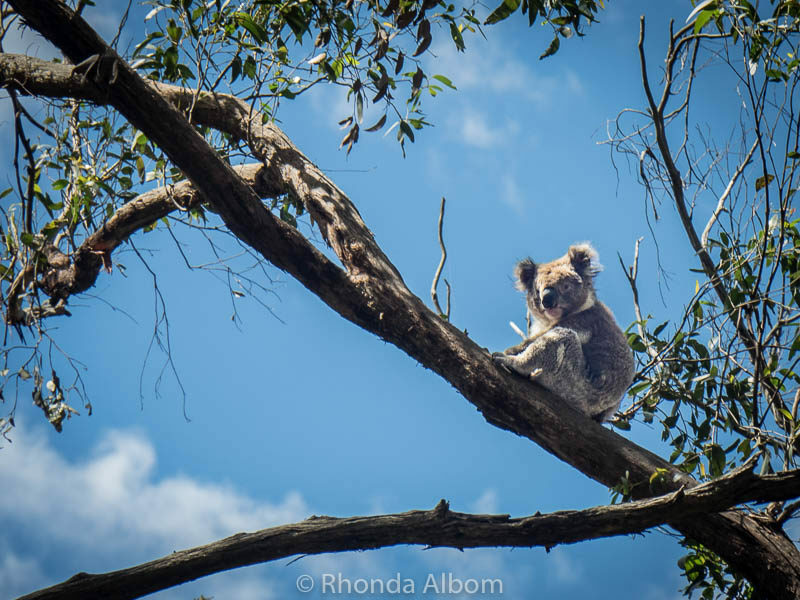 Absolutely breath-taking views and scenery – and spotting wild koala? How amazing!! All your pictures are so stunning! Driving along the Great Ocean Road must be so breathtaking! Can’t wait to go there one day. When we visited Australia many moons ago with my family (we picked up my brother from school at Melbourne and traveled for two weeks) we decided against doing the Great Ocean Road. Gah. So sad to have missed it. It is definitely everything I would love to see. Unique rock formations set in a brilliant blue sea PLUS KOALAS?!? Oh my goodness. I love this post so much. Beautiful and great tips. Cheers from the other side of the world! I also did the Great ocean road but I just drove though it, I didn’t know there was this much to see! Stunning captures and I couldn’t stop admiring the beauty. The apostles, the arches, the beach – everything was beautiful. I would love to take up the 7 days walk maybe one day in life. WOW! Those sites are gorgeous. You certainly have an eye for a great picture! I love the Loch Ard Gorge. Wonder how many years the water was bangin’ up against that rock to make it like that… THANKS FOR SHARING!!! Wow! Those sites are just breathtaking! Razorback is perhaps my favorite! And KOALAS!! I would die of their cuteness if I ever saw one in the wild! So pretty! I love the Koala catch! Good eye! The water looks so clean and wonderful. Ah, this post brings back great memories of my Great Ocean Road trip (over ten years ago now!). We had such a great time surfing and exploring on our drive. I’ll be back…one day! I hear you on the slow, savored road trip. No better way to do it Rhonda. Unless you drive through relative wasteland it feels more fun to slow down, calm down and soak up the experience. Eye-popping images as always. Those pictures are amazing! I want to stand under that waterfall! And my maiden name is Bell, so I’m claiming that beach! Oh my, Rhonda – these photos are stunning! I would so love to visit Australia! 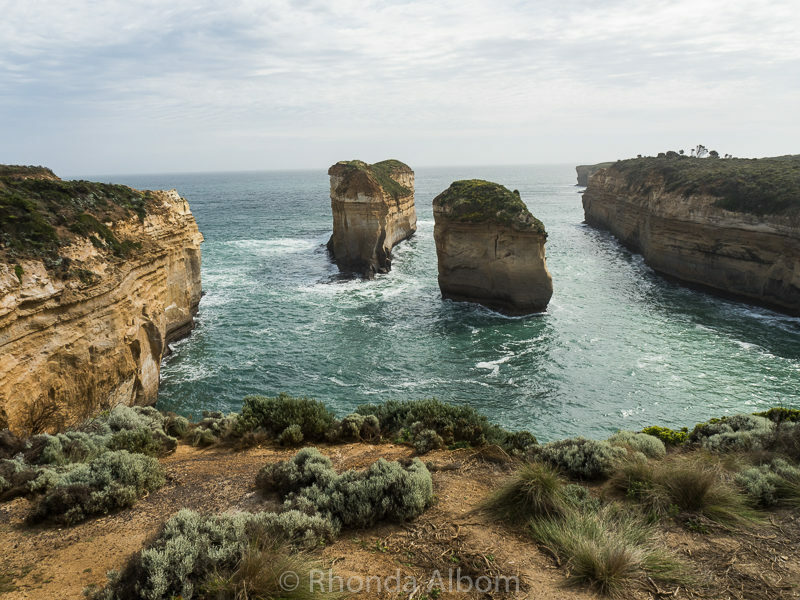 How beautiful, it’s really amazing how those rocks form and created a mesmerizing view and deeply impressive shots of photos Rhonda. 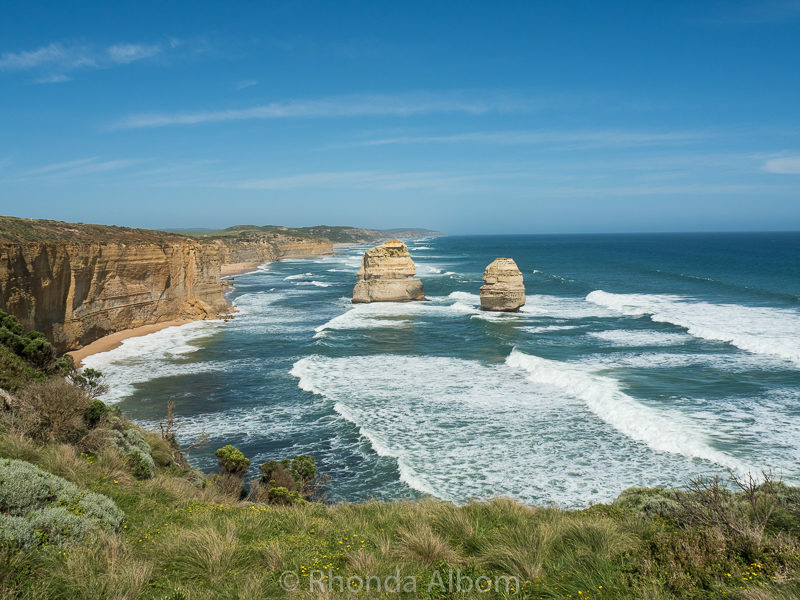 We sadly had to cut the Great Ocean Road from our itinerary when we visited Australia. So much to see; so little time! This is the 3rd Australian road trip post I’ve read this week, and I think I’ve now figured out that I need to drive around the ENTIRE continent. Erskine Falls is so pretty, especially since what I was expecting was just ocean photographs. Thanks, Michele. Driving in Australia is very slow. The country is quite vast and there is quite a bit of nothing between each site. I don’t think would drive the entire country in one trip. But, it’s easier for me as it’s just across the Tasman Sea. What wonderful photos! For a Minnesotan, it would be so fun to see a koala in a tree. What a fabulous area! Thanks so much for sharing these photos. Love it! Nice photos! I am planning my holiday trip to Australia this Christmas. I would like to enjoy sunset photography. Thanks for sharing. Stunning and serene.Koala looks adorable. That looks like an amazing drive! I’d love stopping at the lighthouse. Australia is so close…and yet so far, from the Philippines. Haha. I seriously want to go there and just do a road trip with my family. Stunning photos! That coastline looks SO much like the Oregon coastline. I can see Haystack Rock and the Devil’s Punchbowl fitting in well. Just gorgeous. Awesome photos again, Rhonda! I drove the great ocean road last year on the first day it was reopened after the big fires in the area. We didn’t stop as much as you guys did apart from camping in the area and visiting the obvious twelve apostles. I wish we had done a bit more hiking though! We also had the joy of meeting a sleepy koala who walked on the road and made the traffic stop for 10 minutes while everyone were trying to calm themselves while enjoying their first encounter with a wild koala. On the road, poor koala. I hope he didn’t get hurt. This is lovely! We drove along the east coast, but would love to visit the great ocean road as well. We drove from Byron Bay to Noosa a few years ago, but that was it before this trip. Stunning pictures and what beautiful scenery. I’ve actually not been there / travelled much around Victoria at all! OMG! The Twelve Apostles and Razorback were absolutely amazing! They were all stunning pics – thanks so much for sharing! Your photos are stunning. The coastline is fantastic and I love the koala. How far away was the koala? 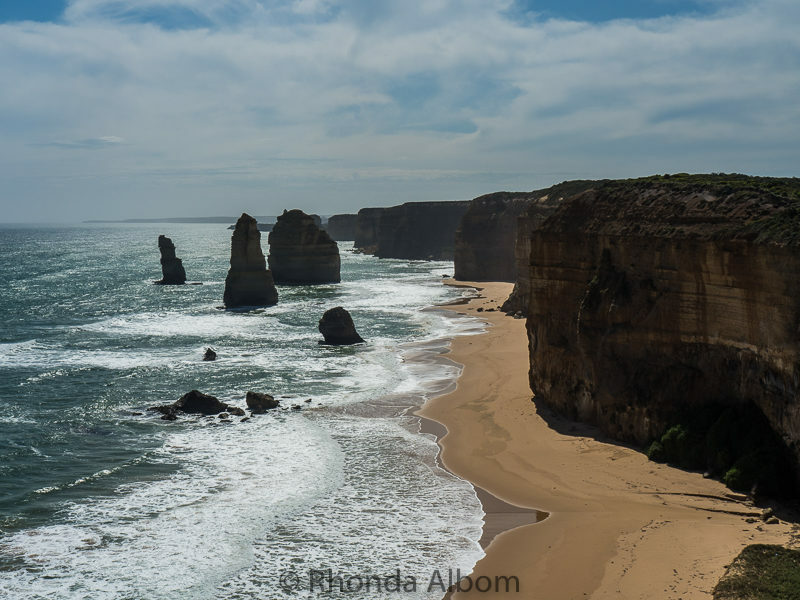 Beautiful photographs Rhonda! Travelling along the Great Ocean Road is up very high on my wish list!! 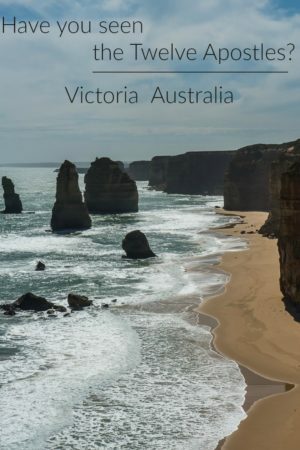 I live in Brisbane but have been to Melbourne and the Dandenongs but not yet The Great Ocean Road or the Mornington Peninsula – both areas I really want to visit. One day soon I hope!! We’ve done that drive the other way, ending in Melbourne. Great drive! Maybe one day . . . and don’t forget New Zealand once you are on this side of the world. To me, this is living the dream. Even though I’ve never been to Australia, the Great Ocean Road is the ultimate road trip – paradise. This brings back soooo many memories, you wouldn’t believe it. I used to live in Melbourne and went to Torqay, Bells Beach, GOR, Apollo Bay, the lighthouse, Erskine Falls etc. etc. many, many times. And loved it every time. Well, except for when there were so many (Asian) visitors that it was hard to get a glimpse 🙂 But all was and is good. Thank you for the memories brought by your wonderful photos. The advantage of on and off rain is fewer people. There are twice as many steps down to Erskine Falls as down to Bells Beach. 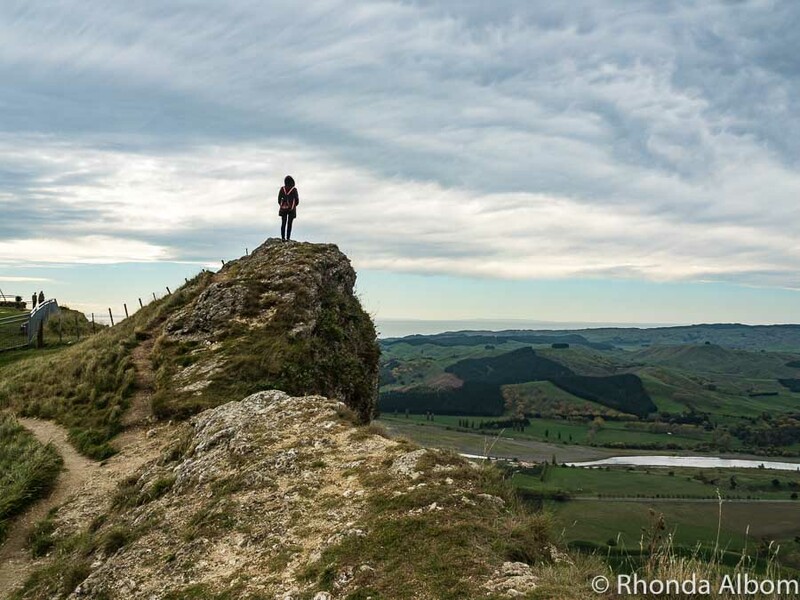 Great post Rhonda, so glad you got to this wonderful area. I think Amalfi is the only roadtrip that could ever outdo the Great Ocean Road. The Great Ocean Road is one of those epic road trips that everyone visiting Australia should do. I have done the trip twice and could still return again and again. There are eye popping scenes at every corner. Lovely photo Rhonda. It looks amazing – especially the sunset. Thanks. The sunset was a bonus. We had intended on being settled into to Apollo Bay long before sunset. Wow! I’m kind of jealous. When I did the Great Ocean Road it was a miserable,rainy day! Your pictures are absolutely gorgeous! We did get lucky in part, but it was much colder and windier than it looks in the photos. My favourite icon there is The Grotto, though. Have you seen it? It’s one of the rock structures in the sea (like the 12 Apostles, but better imo. lols). It’s such a gorgeous coastline! It’s a long way down, and a longer way back up. Bring water and a tripod 🙂 As for the Grotto, those photos are coming soon. Some great shots as always. I’ve always wanted to visit Australia, but I’m sure I’ll never make it there. We just aren’t the world travelers that you two are. Now that’s the kind of ocean road I’d like to travel. Our ocean roads provide a fine view of a row of beach condos and houses with brief glimpses of the beach beyond every mile or so. Gorgeous photos, I love the ocean views. Wow – what a beautiful place!! Been ages since I’ve been down to the Great Ocean Road. We used to spend summers down there every year, so beautiful. Your shot of Erskine Falls is stunning! Makes me want to go back. The great ocean road has to be one of the most scenic routes ever. The Erskine Falls are beautiful. Cool, I would love to read it when you find it. I hope you enjoyed the Great Ocean Rd as much as we do. Did you see the koalas? We sure did, in the Otways. So cool. Whata a beautiful place. Great photos! Your waterfall shots (not just on this post) are always so beautiful. Really stunning.